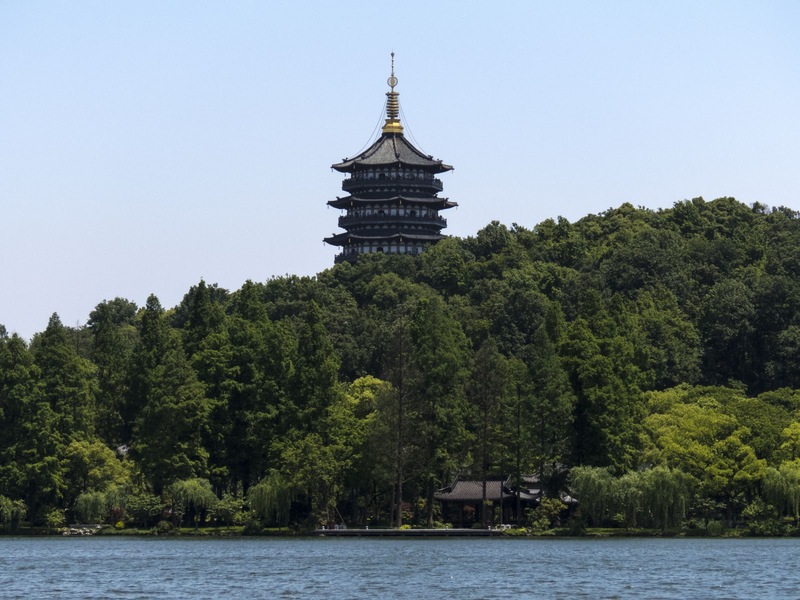 You may be wondering: Should I visit Hangzhou China? Hangzhou was our first stop on an extended two week vacation in China which was in turn part of a 6 week work break in Asia (#DrJSabbatical). 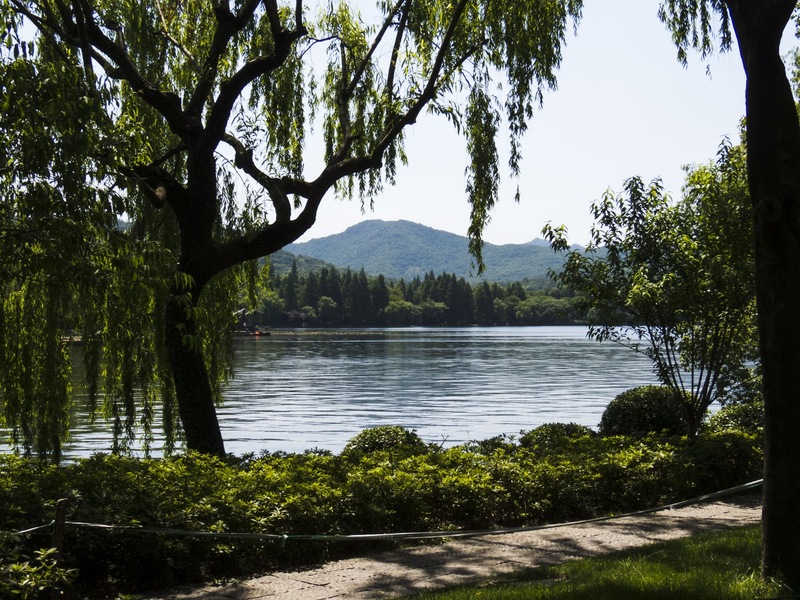 Known as China's Garden City, Hangzhou's tourist attractions center around the idyllic West Lake. I wanted to like Hangzhou and in many ways I did. However, I found that Hangzhou was not particularly user-friendly for westerners which led to a fair degree of frustration during our visit. 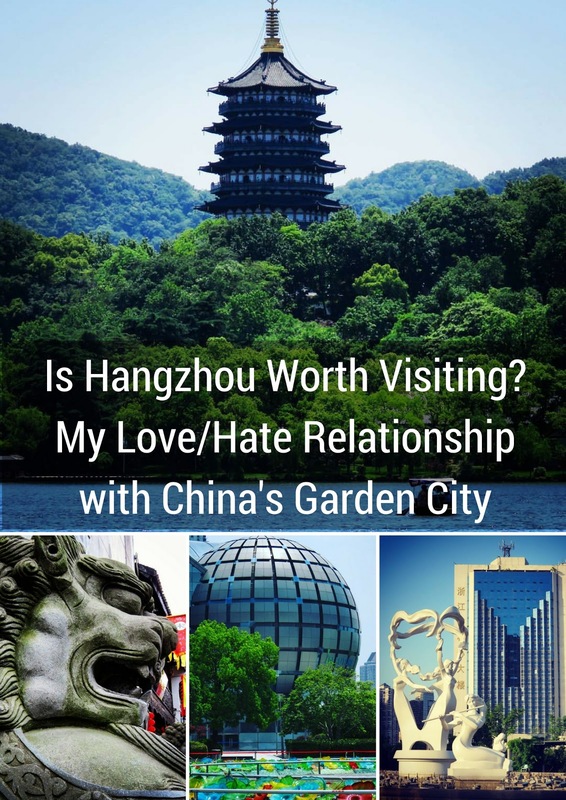 Is Hangzhou worth visiting? Here are some reasons that I have a love/hate relationship with China's Garden City. Chinese Treat Stores in Hangzhou! Soon after our arrival in Hangzhou, we took a walk near our hotel, running for our lives to cross the street at several large intersections. We stumbled upon a shop selling a wide array of sweet and savory Chinese treats packaged for sale by weight and sold in individual serving-sized packages. I love to sample local foods especially when I can try a little bit of a wide variety of things. We bought a bag of crackers, cookies, candy, and even a piece of tuna flavored tofu. For the equivalent of just a few U.S. dollars we were whisked away on a taste adventure. Our time in Hangzhou was off to a great start. Hangzhou's star attraction was not within easy walking distance from our hotel (the Courtyard Marriott Wulin) so we turned to Hangzhou's Metro system to take us to West Lake. The metro did not run particularly close to West Lake but there was one station just a few blocks from the northeastern edge of the lake. We queued up for tickets but soon realized that only one of about five automated ticket machines was actually working. I then noticed a number of locals simply cutting the queue and fighting their way to the one working ticket machine. Before long, I realized that we'd need to be pretty assertive if we wanted to get tickets for the metro. As we finally approached the ticket machine, additional locals tried to cut in front of us. I'm pretty tall by Chinese standards and simply stuck my foot out and positioned my elbow up a little bit to prevent folks from cutting in front of us. We did eventually get our ticket. There was even an English-language option on the ticket machine but it was disappointing to discover the ticket booth fail and subsequent free-for-all on the remaining working machine. I did not love this aspect of Hangzhou. 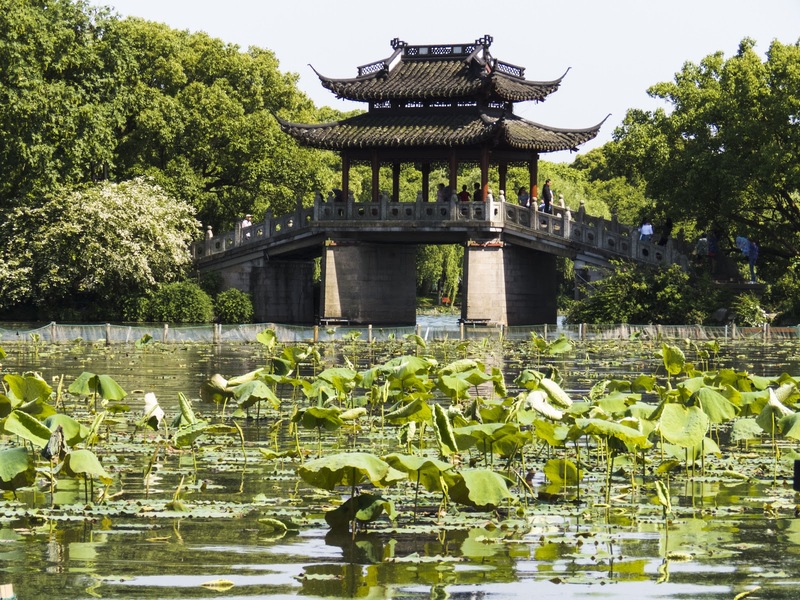 SIDEWALK SAFARI SPOTLIGHT: Hangzhou may be difficult to navigate on public transportation but exploring Beijing by public transit is fast and easy. We successfully rode the Hangzhou metro to Longxiangqiao station. We walked several blocks to the shores of the lake either taking stairs up and down to an underground passage at each intersection or running for our lives in the face of traffic. This deposited us on the shore of Hangzhou's West Lake. We spent the better part of a day strolling along the shores of West Lake. Everywhere we turned there was a scenic spot just begging for a photo. I can see why Hangzhou is so popular among domestic Chinese tourists. Speaking of domestic Chinese tourists, there was crowds of them all around West Lake and each one seemed to have their own selfie pole which they left extended and stopped to wield every two minutes or so. Contending with selfie-loving tourists on the Hangzhou's West Lake was one of the more frustrating aspects of our visit. For each beautiful picture that we managed to get, I had to carefully poke my way through a crowd and carefully aim my camera to avoid all the poles. On the plus side, I couldn't help but feel like a celebrity in Hangzhou. On our pleasure boat ride out to the island of the Three Pools Mirroring the Moon, I noticed someone surreptitiously taking our photo. I smiled and then they outright wanted to pose with us (we must seem like exotic foreigners since we are so pale). I insisted on getting a photo with my camera too. We were seated on the boat but when I stood up for the photo, I realized I was more than a head taller than my new friends Ou and Liang from Fujian (They spoke no English and we don't speak Chinese so communication was thanks to offline Google Translate). After clocking several miles walking around West Lake, we wanted to get a taxi back to our hotel for a couple hours before an evening light show. We could not get a taxi to stop for us. After trying for 30 minutes and asking at a hotel for help to no avail, we decided to just stay out until after the evening light show (more on that below). Even after the light show, we could not get a taxi. We ended up walking more than 2 miles back to our hotel in stifling heat and humidity. I've never been more frustrated with a place as I was at that moment. We learned later that taxis in China (and not just in Hangzhou) don't like to stop for western-looking tourists because they assume you can't speak Chinese. Since taxi drivers don't speak English, they think it's too much hassle to pick up foreigners. In addition, apparently there is a shortage of taxis in many places in China so locals will agree to pay up to twice the metered price for a ride during peak times. This off-the-books negotiation is much more difficult if you don't speak the same language. By staying out instead of returning to our hotel by taxi, I got some nice golden hour photos and met another group surreptitiously taking our picture. When I smiled, one woman shouted 'Hallelujah' and then asked via a Chinese translation app if we were Christians. Photos and hugs ensued. We went to the Impression West Lake water show which featured cool choreography and lights (think of this as a Disney-on-Ice style performance but on water). We were dazzled by the sheer number of performers and wowed by the production values. Once again, we were loving Hangzhou. No Photography - Just Kidding! The pre-show announcements declared that there should be no photos. As soon as the lights went down, everyone whipped out their phones anyway. The light from people's screens and the near constant stream of flashes really detracted from what could have been an outstanding experience. Frustrating. We spent a final day exploring Hangzhou using the metro (the ticket booths were working this time!) and on foot. During our leisurely stroll through the shops, we stumbled upon a tea shop doing green tea tastings. A nice young man brought us to a table at the back of the shop and proceeded to prepare a variety of delicate Chinese green teas for our enjoyment. Of course, it's all about encouraging a sale and we did end up buying a few packages of green tea in decorative tins which make for great souvenirs. At least we ended our time in Hangzhou on a positive note. Hangzhou has a reputation for being a hip Chinese megacity. If you are in nearby Shanghai for business, it's worth popping over for the weekend. We flew to Hangzhou directly from Singapore as a convenient entry point into China. Knowing what I know now, I wouldn't go out of my way to visit Hangzhou. I'm really glad that we saw the West Lake but the beauty of the lake simply wasn't worth the frustration we encountered along the way. 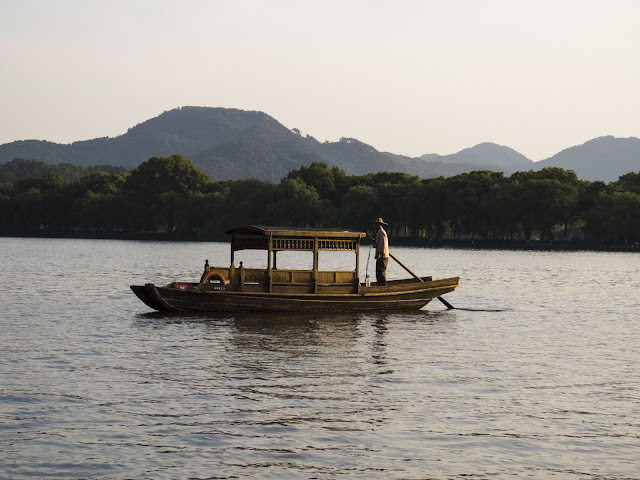 Find out if Hangzhou is worth visiting on a trip to China. Explore Hangzhou China points of interest including West Lake attractions like the Three Pools Mirroring the Moon.